The launch of Les Pooch fragrances at Bloomingdales in NYC. 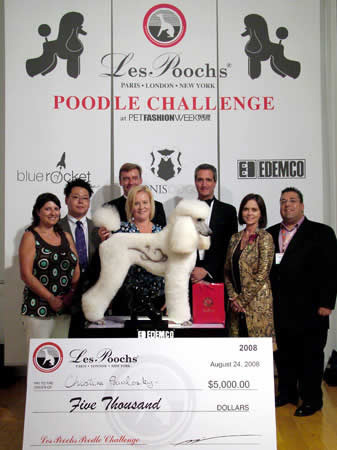 The Les Poochs Poodle Challenge is considered one of the largest cash/prize awards in grooming competition history. Stylists competed for more than $70,000 in awards and prizes.